BACHELORETTE winner Stu Laundy knows NRL star Paul Gallen will be gunning for him. 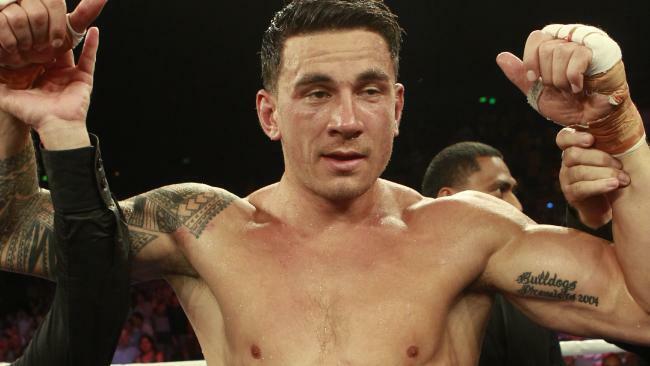 The TV personality has pulled off a coup in organising for superstar Sonny Bill Williams to return to boxing, after three years out of the game, for a special charity fight night in Sydney on December 1. The only problem for Laundy is he will have to fight the freak athlete. Williams is also foregoing the huge potential payday of fighting Gallen to instead raise money for two charity foundations in a fight that's being promoted as the "Banger under the hanger" on Sydney Harbour. Laundy, also known for his appearances on SBS documentary Filthy Rich and Homeless, has cooked up the concept to raise money and awareness for homeless support charities the Exodus Foundation and the Bill Crews Charitable Trust. The reality TV star said he was prepared to get knocked out to raise funds for the charitable organisations. He admits it is a very real possibility. "He may drop me, who knows?" Laundy said. Sonny Bill Williams knows how to throw. "He's six or seven fights in so he's going to be a very good fighter, but who knows? "Sonny has a fair few kilos on me and a fair bit of ability as well, but other than that it's nothing impossible. "I'm not scared of anything. Honestly, I'm not scared at all. Really I'm not. Sonny is a beast, but beasts can be taken down. "I've been throwing drunk guys out of pubs for 30 years. Sure some of them are drunk, but some of them are monsters." Laundy will be making his boxing debut at the gala dinner, but says he has sparred in training previously. The fight will be sanctioned by the NSW Combat Sports Authority, but the exact details are yet to be confirmed. Fighters are expected to wear headgear and Laundy says he believes he can go a full six rounds with Williams in the ring. Sophie Monk and Stu Laundy following the finale of The Bachelorette. In the 14 weeks leading up to the fight, Laundy will be training with Aussie boxing legend Jeff Fenech. Fenech has also agreed to fight at the event and will step into the ring against high-profile millionaire businessman Mark Bouris. Williams, who will be fighting to raise money for Kiwi foundation, The Auckland City Mission, has agreed to fight Laundy just one week after his All Blacks' European Tour finishes in Italy on November 24. All Blacks coach Steve Hansen has already said he sees no problem with Williams fighting so soon after he's expected to play three Tests for New Zealand overseas. "He is pretty confident, I've spoken to Khoder (Williams' agent Khoder Nasser), and Khoder's confident that what's going to take place won't be of hindrance to him, so you've got to back their judgement and from what I understand it shouldn't be too much of a task." Laundy said he expected his associates to fork out some serious cash for charity if he stepped into a boxing ring with Williams. "If I'm fighting Sonny Bill Williams they're going to open their wallets up, I can tell you that much," Laundy said. "All my wealthy mates better watch out because I'll be gunning for them." Laundy is philisophical about the huge challenge he has ahead of him. 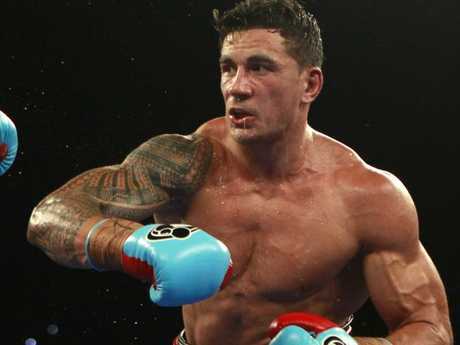 "If I knock out SBW, Gallen's next," he said. To get involved with The Exodus Foundation, click here. To get involved with the Auckland City Mission, click here.